Friends of Cianfrani Park monthly meeting will be held at Palumbo Recreation Center, 10th and Fitzwater, at 7 p.m., on Tuesday, November 1. 1. 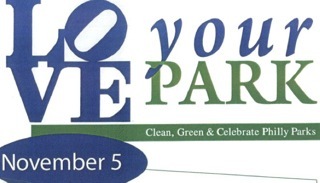 Finalizing plans for our upcoming November 5th “Love Your Park” clean up and planting day. 2. Review suggestions for trees in the park. 3. Review bulletin board specs. 9:30 am to mid afternoon. to renovate the side planters. acquire almost 2000 bulbs to plant for a spectacular display next spring. This is an exciting and ambitious planting project, and we need your help! Gardening expertise is not a requirement. We are lucky to have talented gardeners. Next Next post: Holiday Festival Dec. 6 at 7 p.m.